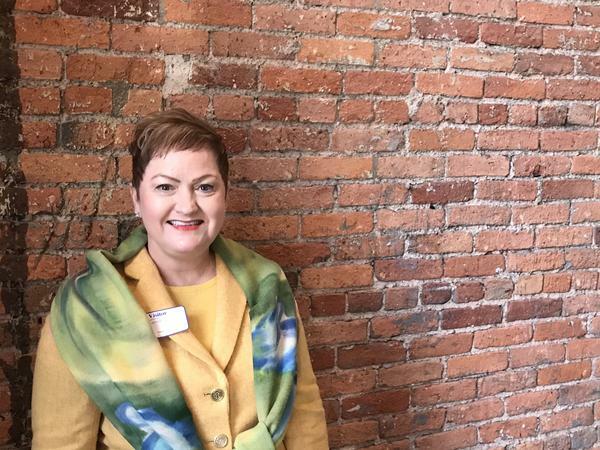 Jeanice Swift is the superintendent of Ann Arbor Public Schools, which received a little over $956,000 in state grants to improve building safety. Today on Stateside, the Michigan legislature has been busy pushing through bills during lame duck. The question is: will Governor Rick Snyder sign them? Plus, how training police to interact with people who have a mental illness or cognitive disability can reduce the chance of a violent encounter. State’s chief doctor ordered to stand trial in Flint water case. What comes next? In Genesee County Friday, a judge ruled that a jury trial should be held to determine whether Michigan’s chief medical officer is guilty of involuntary manslaughter. We talk to Michigan Radio reporter Steve Carmody about what charges Eden Wells is facing. A proposal from the Trump administration would make it tougher for immigrants to get legal residence if it’s determined they’d be likely to receive some kind of government welfare. Stateside talked to Steve Tobocman with Global Detroit, a group which works with businesses who need talent the domestic workforce cannot provide. He tells us why he thinks the so-called “public charge” bill would be bad for the state’s economy. Stateside’s conversation with Jeanice Swift. Horrific school shootings in Parkland, Florida, and Santa Fe, Texas, this year have changed the conversation about school safety in Michigan. In response, the Michigan Legislature appropriated $25 million in grants for school safety. Ann Arbor Public Schools received a grant of nearly $1 million. We talk to Superintendent Jeanice Swift about how the district will spend that money and how teachers and staff talk to students about why new safety measures are being implemented. The pundits are asking: Is Governor Rick Snyder getting ready to play hardball to get what he wants from this lame-duck legislature? To answer that question, we talk to our Friday commentators. Gilda Jacobs is the President and CEO of the Michigan League for Public Policy and a former Democratic member of the state Senate. Ken Sikkema is Senior Policy Fellow at Public Sector Consultants and former Republican majority leader in the Michigan Senate. Perhaps you’ve seen news stories on police interacting with someone who is mentally ill or has a cognitive impairment. Sometimes that story ends very badly. But Rafael Diaz is helping change that by training officers to recognize and deal with mental health crises. Diaz is executive lieutenant of the Kalamazoo Department of Public Safety. The city was the first in Michigan to implement the Crisis Intervention Team model. A hot toddy with an unusual seasonal ingredient. Not sure what to do with all that squash left over from decorative gourd season? How about turning it into a cocktail? Tammy Coxen and Stateside host Lester Graham mix up a cozy hot toddy with a spiced butternut squash butter.